Electric Jive today honours a veteran of the South African music industry, an individual whose distinctive voice and emphatic leadership helped to define the sound of the female harmony group of early-1960s South Africa – Joyce Mogatusi, the lead vocalist of the Dark City Sisters, who passed away this month. Mogatusi’s death comes almost exactly one month after the passing of Rupert Bopape, the prolific producer who founded the group that she subsequently led for more than five decades. Mogatusi was more than just a talented vocalist; she was the driving force behind the Dark City Sisters. Her very keen ear ensured that the resultant recording featured nothing but perfect female harmony, a delightful amalgamation of four to five voices to create a lush and smooth sound. It was this sound that became the Sisters’ trademark, a sound that was developed almost as soon as Mogatusi joined the group the year after it was formed. Initially formed of a band of session singers that included Francesca Ngubeni, Nunu Maseko and Kate Olene, the Dark City Sisters began life as rough-and-ready recording act. Their sound deviated wildly from the tender vocals of their nearest rivals, the established Skylarks led by Miriam Makeba over at Gallo, instead preferring a more boisterous and animated singing style. Their sound was a key part of the development of what was later called “mbaqanga”, a shift that signalled the end of the jazz and swing-based sounds that had dominated the music scene heretofore. However, within about a year or two, the sound of the Dark City Sisters had changed to focus on well-blended close harmony. Key to this was the recruitment of several new singers including Irene Nhlapo, Hilda Mogapi, Grace Msika and, most significantly, Molepolole-born Joyce Mogatusi. 22-year old Mogatusi was recruited to EMI by Rupert Bopape in 1959 and was immediately ensconced within the female vocalists team at the company, recording songs in rotating line-ups under such famous names as the Killingstone Stars, the Flying Jazz Queens and – of course – the Dark City Sisters. Mogatusi possessed an amazingly well developed, delicately sweet voice that early on helped to develop an image for the latter pseudonym. By 1964, the Sisters had become the most popular female group in South Africa – and a large part of this success can be attributed to the vocal talents of Mogatusi and her ability to lead the team of women in joyous song. Mogatusi was far from someone who just turned up for the rehearsals and the recording sessions – she soaked up the talents and skills of those around her (Almon Memela, Aaron Lerole, Zacks Nkosi and Zeph Nkabinde) to nurture a prolific arranging and composing career. Gradually, with the departure of Rupert Bopape from EMI (he joined Gallo and became the executive head of the new Mavuthela operation), Mogatusi assumed complete control of the Sisters. A magnificent talent for arranging harmonies helped to sustain the group’s popularity through the 1960s with the release of hundreds of singles, in spite of the rise of Bopape’s newly formed Mahotella Queens. Together with Grace Msika, Esther Khoza and Audrey Zwane, Mogatusi continued composing and leading the group until a brief disband in 1971. A yearn for music saw Mogatusi regroup with the ladies a mere two years later, returning to Bopape’s stable but under the wing of producer West Nkosi – by which time Mogatusi had married and given birth to two children. 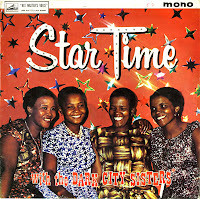 The Sisters were able to maintain some degree of success at Mavuthela and continued to record for the company until 1981, when they departed for a new producer and label. It could be that creative differences formed a part of their decision to move – West Nkosi had by now begun to reimagine the mbaqanga sound to cater for the changing tastes of the audience – as well as the lack of royalty payments. Now a trio (the other two members being the now-married Grace Moeketsi and new recruit Doris Ntuli), the Sisters joined Black Cat Productions – distributed by their old company, EMI – and producer Roxy Buthelezi. Another fallow period followed, during which Mogatusi returned to her domestic life to help raise her family. Mogatusi made a return to West Nkosi at Mavuthela in 1984. She cut a solo album entitled Basadi Balla, a Tswana LP released under the name Joyce and The Shoe Laces (The Shoe Laces being West’s team of instrumental players). Mogatusi was the only vocalist on the album but was multi-tracked to create a smooth girl group harmony, a testament to her abiding and by now well-honed gift. With the explosion of international interest in the music of South Africa, it was perhaps inevitable that the Sisters would reunite to capitalise on this chance. Several original group members had since passed away, but Mogatusi reformed the group, together with Moeketsi, Ntuli and two new recruits, Caroline Kapentar and Emily Zwane, both of whom had spent the last twenty years in the Mahotella Queens (although Kapentar had had a brief spell in the Sisters during the mid-1960s). Zwane was to later depart but Mogatusi enlisted the talents of session veteran Isabel Maseko, and the quintet began to resume their live appearances. Until recently the group had continued to make live appearances across the country, although not on the scale of some of their other musical counterparts such as the Soul Brothers and the Mahotella Queens. 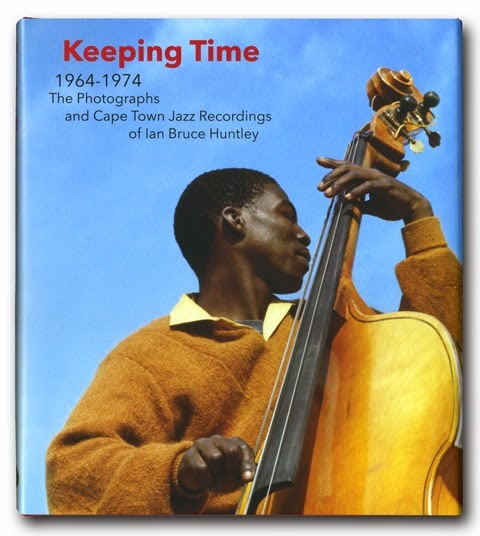 There were also a few new forays into recording in the post-apartheid era. The last major development in the history of the Dark City Sisters was the formation of the Musician Organisation of Gauteng (or “M.O.G.”) in 2006, led by Lulu Masilela, an outfit set up to challenge local promoters about the lack of live performances for veteran performers and groups. Mogatusi was described as motherly and dedicated, and always encouraging. Her role was more than the face of the Dark City Sisters; she was the heart and soul of the group, she was determined to defeat the obstacles that the Sisters endured through the years, and she was a perfectionistic individual. The breadth of her talent was magnificent – from joyous celebration (“Searchers”, “Papadi Oyakae”), to soft, tender, lullaby-style (“Imphefumlo”, “Mafutsana”, “Lefu”), to plain-out expressive singing (“Umkhwekazi”, “Poppies”). 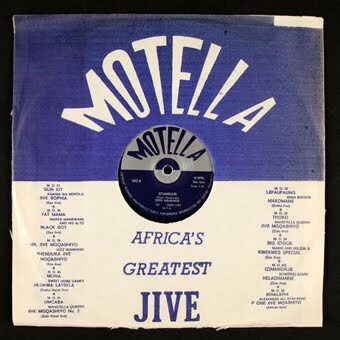 Electric Jive was only made aware of Mogatusi's passing following an internet search this week. The fact that such an iconic figure - indeed she was a legend of South Africa, one of the country's heroines - had lived quietly and peacefully for years speaks volumes about the ungrateful attitude of the media. A number of reporters stepped up to pay tribute to this great lady once news of her passing reached them. Where were the journalists when Mrs. Mogatusi was alive and well? Why did no-one even attempt to find this great lady, interview her and publish her amazing life story to the world? Such stories are sadly prevalent in today's South Africa. Legendary figures are left to fend for themselves once the public and media decides that their sound is no longer hip - and they are left to try to scramble together a secure income somehow. Mogatusi, noteworthily, advised her children and grandchildren to seek an education above anything else. Had she been born in the West, she would be as celebrated a figure as Aretha Franklin or Diana Ross. 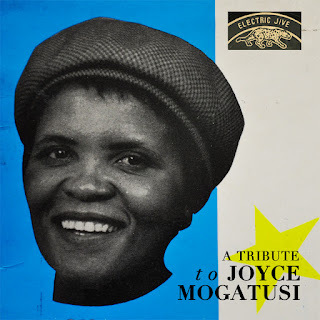 Joyce Mogatusi died of heart failure on Saturday 14 July 2012, aged 75. She was buried in Ga-Rankuwa on Sunday 22 July. The world has lost a legend, but her memory will continue to live on in the hearts and minds of everybody who has and will continue to hear her music. We at Electric Jive are merely honoured to present some of her best recordings for you to enjoy. 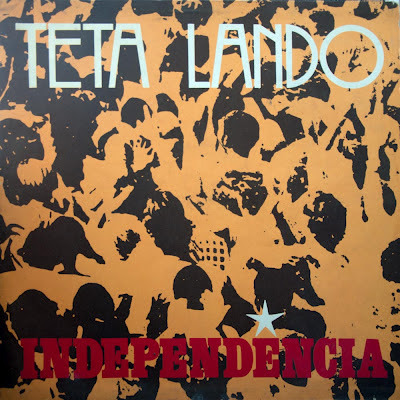 We sojourn once more outside South Africa to bring you one of the more significant recordings of Angola by Teta Lando, which was issued shortly after independence. And from various sources on the web: Alberto Teta Lando (1948 – 2008) was born in Mbanza Congo, the capital city of Zaire Province in the north of the country. 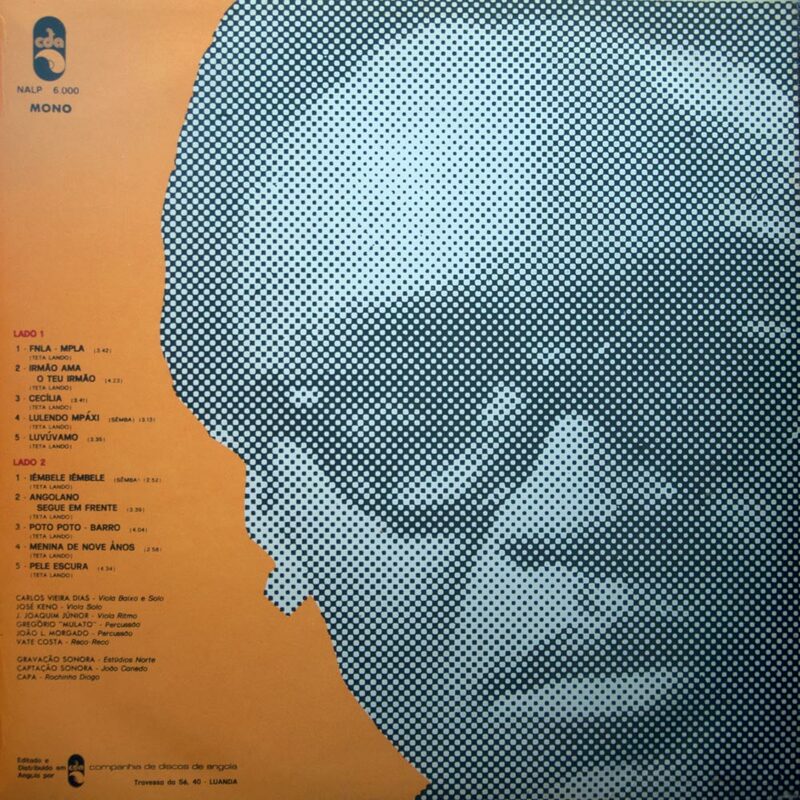 His music focused on Angolan identity, the country's civil war, the saudades (nostalgia, melancholy and longing) of Angolan exiles, as well as young love and family. He spoke and sung in both the Portuguese and Kikongo languages. Among his most well known songs were "Irmao ama teu irmao" ("Brother, Love Your Brother") and "Eu vou voltar" ("I Will Return"). He died in Paris, France, on 14 July 2008, after battling cancer. During the last several years of his life, he managed to re-unite a group of many Angolan musicians. David Coplan uses this fragment of Todd Matshikiza’s 1956 review in Drum magazine to illustrate Matshikiza’s style of “word jazz”. But the text also paints a wonderful portrait of a young Mabel Mafuya, who in the mid to late 1950s was one of South Africa’s top-selling jive vocalists. 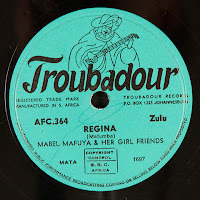 At Troubadour, Mafuya was only second to Dorothy Masuka, and in the mid to late 1950s Troubadour dominated the African market (with at times up to 75% of sales). Remarkably very little material by this legendary artist has been available. To my knowledge, only one track — Nomathemba — has been reissued on CD. Moreover after searching the web, it appears that only two other tracks come up: one in the SAMAP archive, and the other, a late-career track at Soul Safari. In many ways the collection below of 26 songs spanning four years from 1956 to 1960, captures Mafuya at the peak of her singing career and is a unique and valuable window into a dynamic social period. That destiny was soon confirmed. 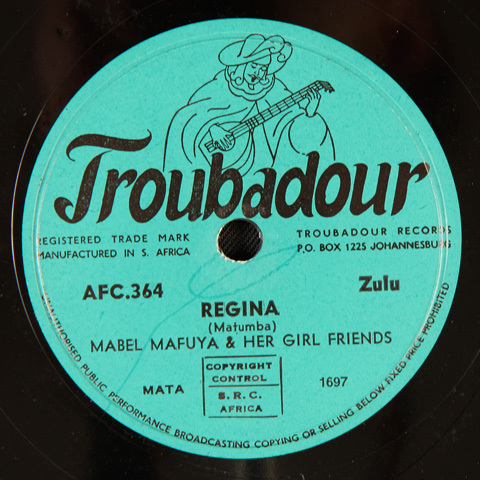 While Mafuya was still a student at Orlando High School around late 1955 or early 1956 Cuthbert Matumba, producer and talent scout for Troubadour Records invited her to make some recordings at their studios. There she would soon rub shoulders with another of her idols, Dorothy Masuka, who would also became a mentor to her in those early days. At Troubadour, Mafuya became one of the regular artists brought in to record not only her own compositions but also as a group and/or backing vocalist with a number of other artists including Dorothy Masuka, Dixie Kwankwa, Doris and Ruth Molifi, and Mary Thobei. 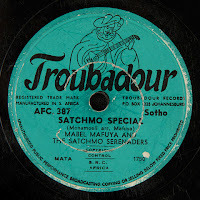 The company had a roster of artists who rotated and recorded under a number of different pseudonyms and the groups Mafuya performed with included the Girl Friends, the Satchmo Serenaders, Starlight Serenaders, Starlight Boogies, the Starlight Singers, etc. Interestingly, Nomathemba has been at the center of a recent legal battle over copyright between Sting Music and Gallo Records. A song called Nomathemba was used in the stage production Umoja. Gallo claimed that it was originally released by Ladysmith Black Mambazo on their debut LP in 1973. The plaintiff claimed that the song was traditional, free of copyright and pointed to a number of earlier examples including Mafuya’s 1956 version. That version was written by Zachariah Moloi, one of the Green Lanterns, but is not clear to me whether the song is the same as that composed by Joseph Shabalala. Read more about the court case in the Sowetan. The social references in Mafuya’s Nomathemba were typical of a number of her songs from this period. 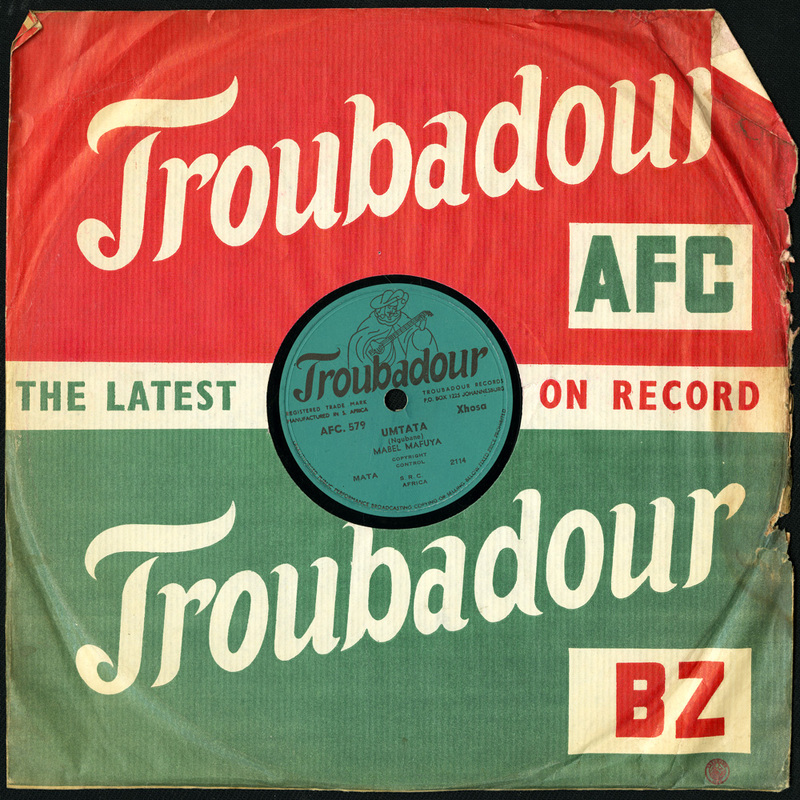 In fact, where other record companies shied away from political or social content, Troubadour openly embraced it. 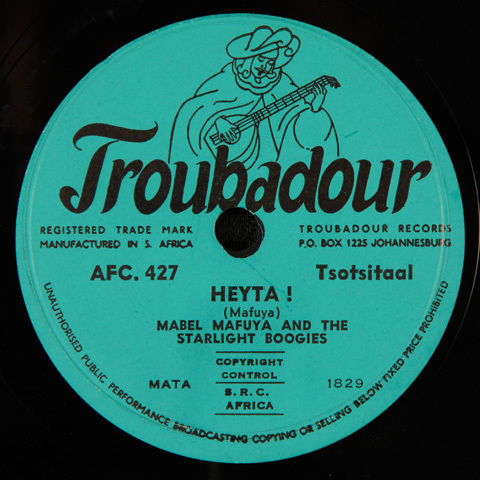 Matumba often encouraged critical or topical commentary in the recordings during this period, and despite visits by the Police "Special Branch," remarkably the owners of Troubadour did not temper the activity. 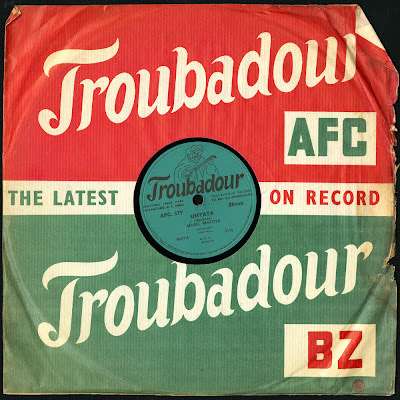 Troubadour was initially founded in 1951 by three and then later two Jewish businessmen, Morris Fagan and Israel Katz. Their approach was to focus on material that appealed to working class urban blacks, a market that was going through quite a renaissance in the 1950s. Still, the political environment in South Africa at this time was particularly turbulent. Sophiatown, one of the key centers of cultural production for a multi-racial community, had just been dismantled in February 1955 by the apartheid government, making way for a new white area soon to be called Triopf. The Treason Trial had begun after 156 people including Nelson Mandela were arrested in December of 1956. Nevertheless, music that carried a political message was able to get through to the public, either by record sales or less frequently by way of the rediffusion service, a cable based radio system available to blacks in some townships. This of course was the case until the Sharpeville massacre of March 1960, which resulted in a severe increase in censorship and self-censorship of political content. The compilation of Mafuya tunes below opens with a 1956 track Regina, a homage dedicated to Regina Brooks, a white woman who had been arrested under the immorality act for having a child with a black policeman. 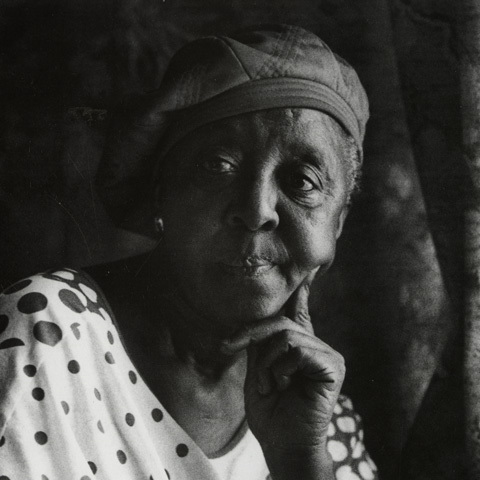 In 1955 Brooks became controversial after she asked to be re-classified as coloured (or mixed-race) in order that she could live in Orlando, Soweto (some sources have it as Dube) with her husband, Sergeant Richard Kumalo, and child. 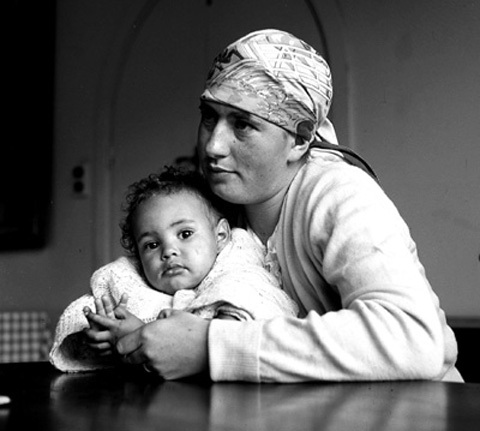 Drum photographer, Bob Gasani captures Brooks and her child, Thandi, in this 1955 image sourced from the Bailey Archives. Read more about the story at IOL. Mafuya’s homage to individual heroes was also not unique in the case of Regina Brooks. 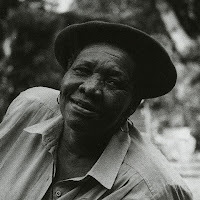 After the suicide of Ezekiel ‘King Kong’ Dlamini on April 3rd, 1957, Mafuya and her Troubadour colleague Mary Thobei immortalised the boxing legend in their song King Kong Oshwile Ma. Unfortunately friends and family of the boxer interpreted the song as a mockery and subsequently both Thobei and Mafuya were badly beaten by his supporters one day at the Jeppe Railway Station — an assault severe enough to land Mafuya in Johannesburg General Hospital. 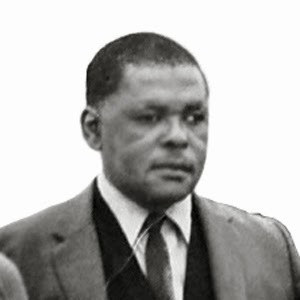 (Molefe, Coplan) Before his suicide, Dlamini had been sentenced to prison for murdering his girlfriend and later became the subject of the famed musical King Kong in 1959. Azikhwelwa (We will not ride), a kwela tune by the Alexandra Casbahs, is attributed to Mafuya and Thobei and operates as a form of news item alerting people to the bus boycott of 1957 in Alexandra. Thobei opens the tune saying: “Yes, ladies and gentlemen, it was on Monday morning, the 7th of January, 1957 when everybody was shouting Azikhwelwa…” The bus boycott had been implemented by residents of Alexandra against the Public Utility Transport Corporation (more commonly known as PUTCO) over a rate hike of 4 to 5 pence. This spontaneous action lead to the formation of the Alexandra People’s Transport Action Committee (APTAC). 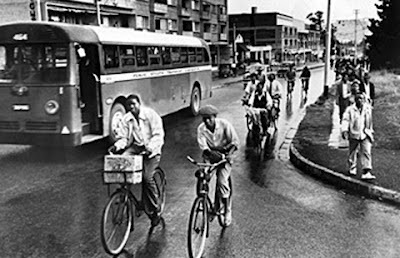 Of course, during apartheid in South Africa, blacks were segregated into townships that were some distance from city centers and places of work and thus bus and train were, for many, primary modes of transport. Rate hikes would deeply affect every household’s bottom-line. With the boycott, residents chose other forms of transport to get to and from work, but most walked the 30km roundtrip journey. At its peak, 70,000 residents refused to ride the local buses and the action also spread to other townships including Newclaire and Mamelodi. The boycott lasted for at least three months and was only finally resolved on April 1st, 1957, when the 4 pence rate was restored. The protest drew the daily attention of the South African press and is generally recognized as one of the few successful political campaigns of the apartheid era. Read more about the campaign at Dan Mokoyane’s Blog here and more here. Asikhathali is a classic of the struggle and this 1957 track probably marks the first time that it was recorded. Do a search for the term on YouTube and you will find many later renditions of the song, some professional, some really informal. Notable versions can be viewed here and here. Other political classics by Mafuya include the tracks Cato Manor and Beer Halls, probably both recorded late in 1959 or very early in 1960. Cato Manor opens with a whistle that emulates the opening pitch of a radio broadcast and Mafuya announces “Zulu… Zulu… This is Durban Calling… This is Durban Calling…” (Similar to the opening broadcast of the day on radio.) “Women are fighting in Durban. They don’t want their men to drink in Beer Halls…” On the surface the song appears as a feminist critique, but rather it is a call to action against the government. Cato Manor was the official name of an area that become home to a vibrant, informal settlement just outside Durban. To the local resident Cato Manor was known as Mkhumbane. Read more about the place and Todd Matshikiza’s 1960 musical of the same name here at Electric Jive. The Durban City Council had long established a revenue system of selling alcohol to the black population exclusively through a series of beerhalls. The acquiring of alcohol from sources other than these official beerhalls was declared illegal for black South Africans and the residents of Cato Manor resented such control over what had been regarded as a tradition. Illegal brewing developed as a result, and in response the South African authorities regularly raided what were considered to be illicit businesses and made numerous arrests. Protests at such police action resulted and often led to violent clashes. A nervous Durban City Council issued a proclamation in June 1958 to relocate inhabitants from Cato Manor to the more distant regions of Umlazi, Chatsworth and the newly developed township of Kwa Mashu. In 1959 the City Council declared Cato Manor a white zone under the Group Areas Act and in June began the process of forcibly moving residents. At this time a response to the increased liquor raids in Cato Manor put into play a series of actions that soon spiraled into significant violence. It began on July 17, 1959 when a group of women gathered at the Cato Manor beerhall, threatening the men drinking there with sticks. This same group of women then proceeded to attack the central beerhall in Durban and a boycott of the beerhalls began. On July 18th, the following day, 3000 women gathered around the Cato Manor beerhall, and while clashing with police, set it on fire. It is significant to point out that these grievances were not over moral issues around the use of liquor, but rather the control of its production and sale. After more raids on January 23rd (some have it in early February) of 1960, an angry mob killed nine policemen at the Cato Manor Police Station. 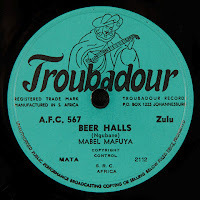 In the song Beer Halls Mafuya announces in English: “They say do not buy potatoes! Do not eat fish and chips!” probably referring to the boycott of food items that were sold at beerhalls. At Troubadour other political themes were tackled, most famously Dorothy Masuka’s song Dr. Malan with a line that translates as “Dr. Malan has difficult laws.” Allingham in the liner notes to the Masuka CD suggests that this marked the first occasion that an actual political leader was cited in a critical song. The disc sold well and was even played over the rediffusion service, but eventually the Special Branch came to the company requesting the master-tape and remaining copies. Fagan, the co-owner of the company had misleadingly claimed that he thought the song was a praise song for Malan. Records were confiscated but Fagan was able to hold on to the master recording. 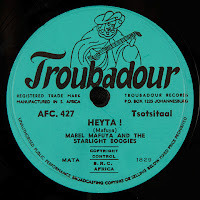 Ultimately Fagan and Katz did little with Police intimidation and remarkably continued to give Matumba significant latitude over content with Troubadour's ‘African’ catalogue. The company’s fall was as dramatic as its rise. After Matumba died in a car accident in May 1965, Troubadour began a rapid decline and by 1969 they were completely consumed by Gallo and ceased to exist. Mafuya’s own singing career was severely affected after a botched thyroid operation in 1957. But still she was able to perform and towards the end of the decade formed a group with Thobei and Thandeka Mpambane known as the Chord Sisters. In 1958 the group was encouraged to join the King Kong crew and Mafuya played a small acting role in the classic 1959 play. After that success she was invited to travel with the cast to London and stayed there for a year. Mafuya eventually returned to South Africa and continued with her acting career. She would later perform in the hit TV sitcom Velaphi. While her singing career turned out to be quite short, Mafuya was nevertheless prolific and the tracks featured below reveal just a small part of her excellent output during a turbulent but also dynamic time. For a provisional discography of Mafuya visit flatint. Today, we revisit our Spotlight on… series that began last year with a focus on the legendary Simon “Mahlathini” Nkabinde. In this, the second post in the series, Electric Jive looks at the life of one of the most successful South African music producers, Rupert Bopape, who died on Friday 15 June 2012 aged 86. Bopape was a pivotal figure of the music industry for thirty years. To this day, he divides opinion. For many he was a visionary, a pioneer, a guiding light and a creator of great sounds. For others, he was an individual who ruled with an iron fist and wasted no time in furthering his own career at the expense of others. He was uniquely sharp at spotting a talented musician or singer, and possessed a long-honed talent for mining the gold. Bopape was astoundingly active at forming bands of instrumentalists and teams of vocalists that would go onto have enormous national success. Indeed, it is Bopape’s groups that are remembered far more than those of his rival producers. These groups also outlived the competition. Two of his creations – the Mahotella Queens and the Dark City Sisters – were still active in the 21st century. As talented as he was at forming groups and watching them shoot to stardom, he was also very active in the songwriting department. 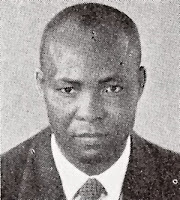 Thousands of songs credit Bopape as the composer, the majority of them in conjunction with another writer, but many registered only under his name. Since Bopape was not a musician in his producing years, it is highly unlikely he “wrote” the instrumental songs that credit him as sole composer. A case in point is “Tom Hark”, a pennywhistle song recorded under his production around 1956. Its main performer, Elias Lerole, has notably claimed the ownership of the song over the years, but to date has never benefitted from the extensive royalties the song reaped. It is more than likely right to assume that “Tom Hark” is not an isolated case. However, it is important to underline that Bopape was not an out-and-out criminal. During the salad days of his Mavuthela stable, he was fully immersed in constructing songs for the company’s artists. He would write song lyrics based upon a particular subject (often topical but not always), and then work with one of the Mavuthela musicians to complete the song – hence the hundreds of compositions that give credit to “R. Bopape and S. Piliso”. Other times, he would come up with a particular melody from imagination and ask one of the musicians to turn it into a full-length instrumental. It is true that Bopape claimed much more than he was entitled to, but he was not alien to the concept of writing songs. Towards the end of his career in the music industry, he expanded his contribution further to focus solely on composing material for the artists of Mavuthela’s various producers, a roster he had built himself. 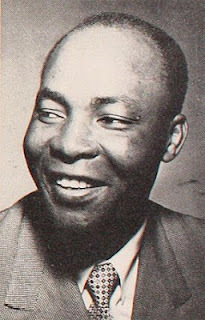 Sebatana Rupert Bopape was born on 15 December 1925. His early life was somewhat erratic. A move to Pietersburg was then followed by a sudden relocation to Magoebaskloof, and then back and forth between the two until the young Rupert was sent to live with his aunt at Vaalkop. 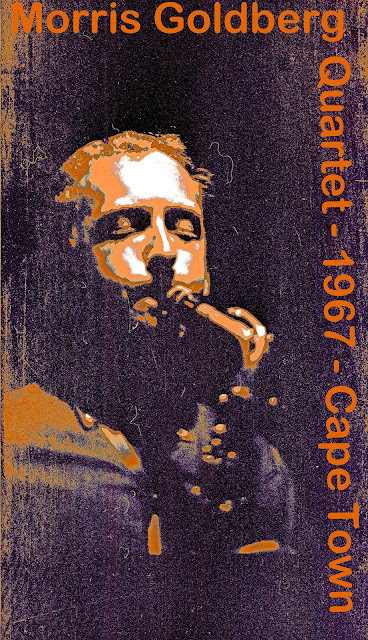 He grew up in Pietersburg, where – like so many young music lovers of the time – he learnt to play on a homemade guitar played at parties throughout the night. Aged 19, Bopape came to Pretoria to seek work. He found employment at a plumbing company, working for them until he decided Johannesburg held better prospects. In 1950 he became a pressman for Record Industries. One particular day Bopape was called in by the management, who wanted the opinion of somebody from the target audience of their black music product. They noted Bopape’s unique attitude and he became an assistant talent scout. After showing his aptitude at gathering together good musicians that would go on to make a profit for the company, Bopape was promoted to main talent scout. These were the first few steps on the road to success. In 1955, Bopape moved to EMI, launching his career as a producer while continuing to undertake searches for new talent. During his tenure at EMI, Bopape became one of the most significant and influential figures in South African music through the development of several unique styles of music, among them a unique African jazz sound, and a more “rural” alternative that appealed to the masses. 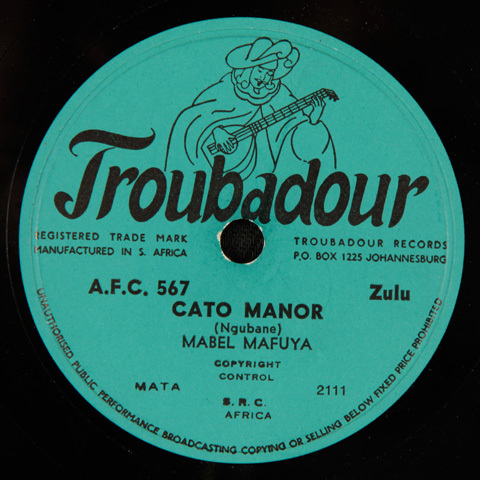 EMI, under the nine-year rule of Bopape, was able to construct what is now referred to as a massively successful African jazz catalogue, rivalled only partly by the efforts of Troubadour (under Cuthbert Matumba), Trutone (under Strike Vilakazi) and – to a lesser extent – Gallo (under Walter Nhlapo). Key to the success was the appointment of musician Zacks Nkosi as a co-producer, who assisted the development of the EMI African jazz sound while Bopape concentrated his energies on developing a style of music he felt he was able to personally control and guide – he was not a jazz fan, and had little time for the intricacies of the sound or indeed the rigid attitudes of the musicians. 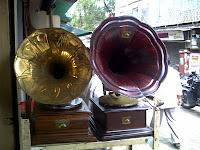 That newer sound was pioneered by the recruitment of a band of street pennywhistlers – recording under a variety of names including Black Mambazo, Alexandra Shamba Boys and The Zig-Zag Jive Flutes – who were able to bring to popular attention the style that is now referred to as “kwela”. Using these newer musicians, Bopape was able to nurture the rise of a more malleable, less polished sound that could be described as a traditionally based African rock music – or more simply, “jive”. It was a sound that filled the jazzmen with disdain for its simplicity, but one that the black public found quite irresistible as the music found its feet into the 1960s. The rise of the all-male close-harmony vocal group prompted producers such as Matumba to buck the trend and reverse the situation. In 1958, Bopape began his own efforts at contributing to what was to become a new craze, the African girl group. Fronted initially by Francisca Mngomezulu, Nunu Maseko and Kate Olene, the Dark City Sisters were at the forefront of the new jive style. It was raw music, performed by instrumentalists who couldn’t read notation and sung by girls from the rural areas. But it was a new craze that seemed to grow and grow and become more cultivated with the recruitment of more musicians and vocalists to EMI. Pretty soon, EMI dominated the market with its electric jive sound, and rival companies began building up a roster of new stars modelled on Bopape's successful stable. 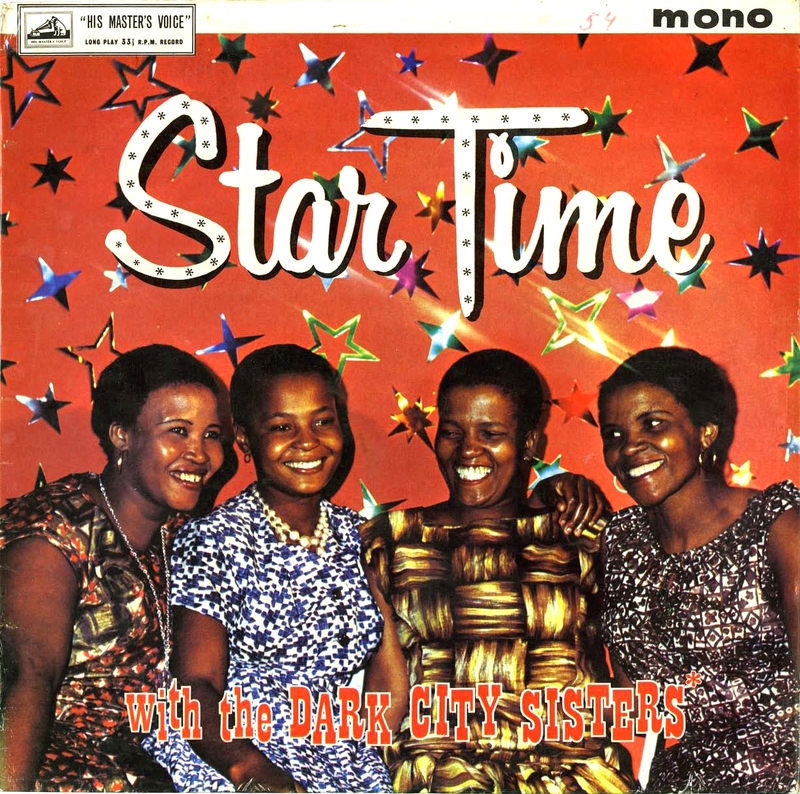 It was under a slightly newer membership in the early 1960s that the Dark City Sisters – now controlled by the excellent Joyce Mogatusi in combination with Irene Mawela, Esther Khoza, the Mngomezulu sisters (Ethel and Francisca), Grace Msika and others – became the most popular female group in the country. This “mbaqanga” music – so-named for its tendency to sound raw, unrefined and homemade – had been developed more or less aggressively by that team of musical players orchestrated by Bopape at EMI. So, it was something of a radical change when Bopape resigned from EMI and joined the independent rival Gallo in early 1964. Having lagged behind EMI in its black music sales for years and wanting to now dominate in each and every market it targeted, Gallo instituted a new company division, later named Mavuthela Music Company, with Bopape as the executive producer/head and a co-director of the division (the other two being Peter Gallo and David Fine). Though Bopape first had to build a roster from scratch, he was soon supported by a number of individuals who moved across from EMI to Gallo. These included: the King’s Messengers Quartet, Shadrack Piliso, Ellison Themba, Elijah Nkwanyane, Wilson Silgee and some vocalists including Simon “Mahlathini” Nkabinde, Nunu Maseko and the Mngomezulu sisters. At Mavuthela, Bopape began building up a brand new catalogue of newer-style mbaqanga music, later to be refered to as “mgqashiyo” or “mqashiyo”, the term being penned for the music (in 1965) by Radio Bantu’s K. E. Masinga. 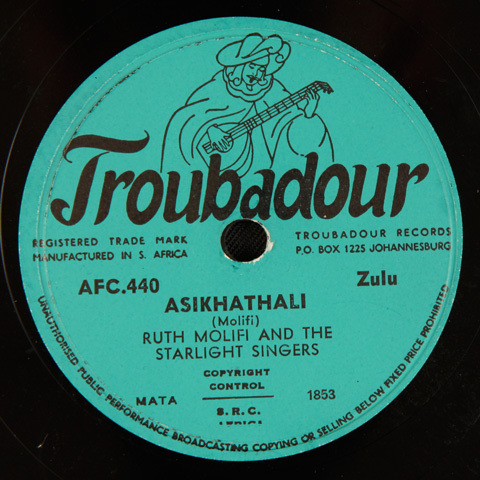 The team of women vocalists representing Mavuthela was initially formed of the singers who were already at Gallo before Bopape's arrival, such as Windy Sibeko, Thoko Mdlalose, and Sarah Mabokela, but a few months later the team was showcased to national success by a new grouping of Hilda Tloubatla, Nunu Maseko and Ethel Mngomezulu. 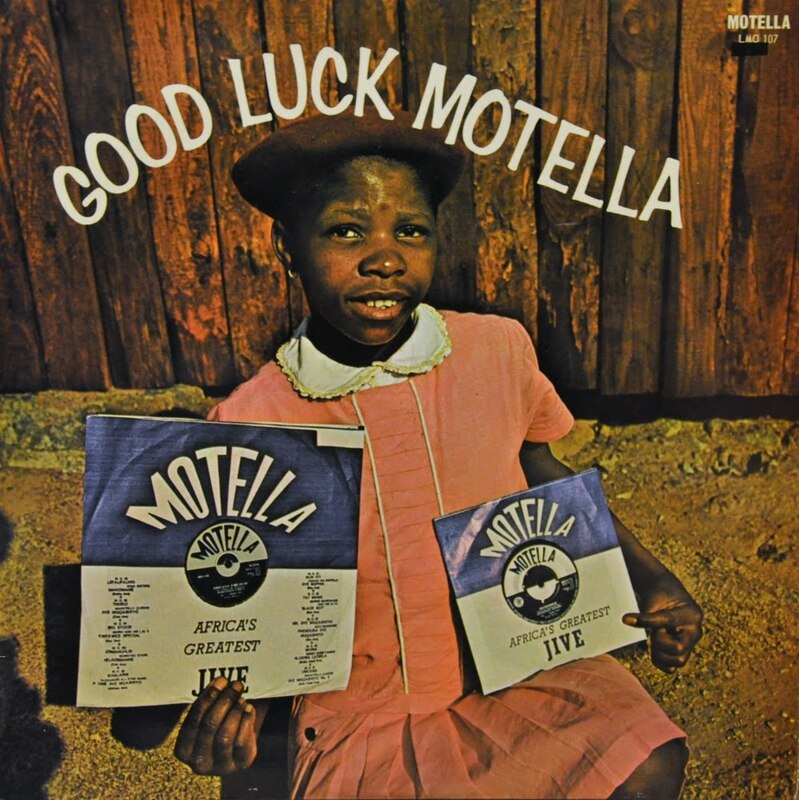 This team of ladies utilised various names that had been thought up on the spot by Bopape, such as the Dima Sisters, the Mahotella Queens, the Marula Boom Stars, the Sweet Home Dames, and the Soweto Stars. Gallo’s turnaround was insanely momentous, and with Bopape’s hand, Mavuthela grew to be the biggest player in the indigenous African market – within a year or two, dominating the market entirely. The main reason for this was the combination of groaner Simon “Mahlathini” Nkabinde with the Mahotella Queens – that name proving to be the most popular of the dozen or so pseudonyms – together with the instrumental accompaniment of the Mavuthela house band, who Bopape later christened the Makgona Tsohle Band. There were three real innovators in the band who, after Bopape had combined them together, managed to develop mbaqanga music as it is generally known worldwide today. These were: Joseph Makwela, who had displaced the tea-chest bass by becoming the first black electric bassist in the country and playing his meticulous notes based on the lower registers of vocal groups; Marks Mankwane, who began transferring the ‘ukupika’ of maskanda music players onto the electric guitar and pushing the instrument to the spotlight; and Vivian Ngubane, an often-underrated musician who was the very first to play rhythm guitar on an electric guitar (until now, the rhythm had been provided by an acoustic guitar or a banjo) and played it in a very distinctively “bouncy” style. The Makgona Tsohle Band were naturally popular within their own right, and provided back-up for Mavuthela’s sax jivers including West Nkosi (with whom the nucleus of the band had originated back in the mid-50s), Lemmy ‘Special’ Mabaso, Shadrack Piliso, Mario da Conceicao and (briefly) Spokes Mashiyane. The team of horn-blowers was expanded in the late 1960s and well into the 1970s to include the likes of Roger Xezu, Sipho Bhengu, Thomas Motshoane, David Khanyile (aka “Fastos The Great”) and Sello Mmutung (better known as “Bra Sello”). Bopape continued to compose at Mavuthela with various members of the music team, but in particular with saxophonist, trumpet player and organist Shadrack Piliso. The Bopape-Piliso songwriting team was a close-knit one – perhaps the South African equivalent of Motown’s Holland-Dozier-Holland, in the sense that nearly every Bopape-Piliso song shot to commercial success, especially during the 1960s. Bopape would come up with the lyrics while Piliso would arrange the vocalists and instrumentalists. Eventually, with the development of guitarist Marks Mankwane as a vital Mavuthela arranger, Piliso slowly focused his attention on the instrumental recordings, paving the way for a Bopape-Mankwane songwriting team which mainly concerned itself with creating the 1970s hits of the Mahotella Queens. Bopape would usually provide the words, and Mankwane devised a melody and put the song together. Piliso expanded Mavuthela’s soul catalogue, forming the group S. Piliso and His Super Seven, which concentrated on covering popular US soul numbers. Piliso himself played the pedal organ for a variety of Mavuthela bands, and developed a very brief “marabi” revival in the early 1970s. Bopape often came up with a song title or melody, and Piliso would flesh it out with a team of musicians. 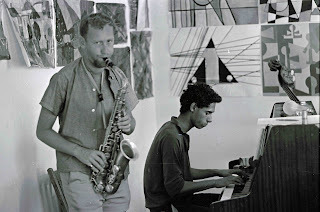 Together, the team also pushed the new “bump jive” sound of the mid-1970s, in many ways a revival of the ‘50s-era African jazz sound. There were also other Mavuthela staff songwriters. Bopape’s wife Francisca, originally a founding member of the Dark City Sisters and an early vocalist for the Queens, worked with Mankwane and Shadrack’s younger brother Edmund to create some of the big-selling jive and "soul vocal" hits of the early 1970s. 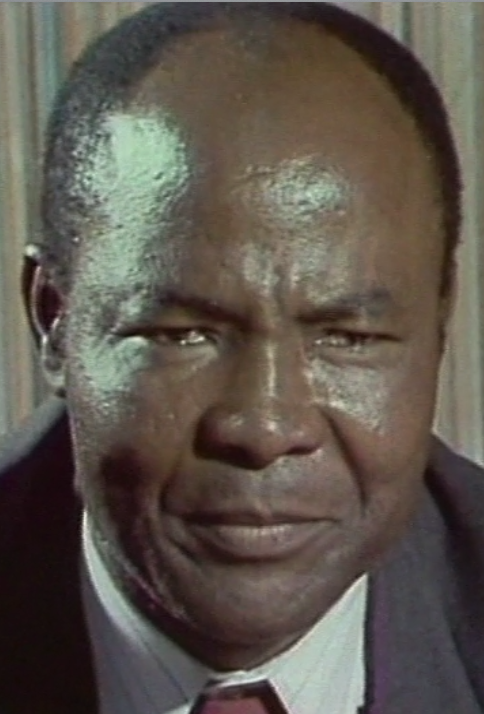 Under Bopape’s leadership, an expanded Mavuthela continued to prosper in the 1970s. He also helped to nurture a younger generation of producers and executives. West Nkosi, perhaps Bopape’s protégé, became a Mavuthela producer in 1972 and helped to break Mavuthela into the “vocal” market with the appointment of Ladysmith Black Mambazo. In 1975, Makgona Tsohle Band drummer Lucky Monama – by now a Mavuthela Public Relations Officer and sales rep – was placed in charge of the overall traditional output of the company, producing scores and scores of traditional artists including Basotho Dihoba, Latsema Matsela and Banda Six. In 1976, guitarist and arranger Marks Mankwane was also promoted to producer, where he took complete control of the Mahotella Queens and also the recently formed all-male counterpart to that act, Abafana Baseqhudeni (“Boys of the rooster”). The group, named by Bopape in reference to the Gallo corporate logo, was perhaps the biggest mbaqanga act of the decade. In 1977, Bopape suffered a mild heart attack. He decided to retire as Mavuthela’s head, with West Nkosi winning the post as head of the company. The Makgona Tsohle Band “split” so that its members could fulfil the by-now extensive producing responsibilities. However, Bopape remained fully ensconced in the music industry and continued to compose for numerous Mavuthela artists and groups. He worked with second wife Irene Mawela (polygamy was and still is widely practiced among black South Africans, often controversially so), who was a very popular solo artist at the company. Together they composed a number of hit songs, with Bopape sometimes providing some chanting or brief vocals. In 1978, he worked with Marks Mankwane to develop a branch of the newer-style “Disco Soul” sound that signalled the start of the end of the mbaqanga sound that so defined Mavuthela in its heyday. In 1979, he wrote some Sotho lyrics for the eighth Abafana Baseqhudeni album, in conjunction with its members. Later in the same year, he worked with Irene Mawela on a number of new recordings produced with the Mahotella Queens. In 1980 he worked with Abafana members once more to help write their last album of new material, and between 1981 and 1982 he worked with Marks Mankwane, Emily Zwane, Virginia Teffo and Sheila Ledwaba to develop a new catalogue of Pedi-language material for the Mahotella Queens. This material was released on singles and later compiled for the successful Queens albums Pitsa Tse Kgolo (1982) and Tsa Lebowa (1983). Bopape had withdrawn from his industry responsibilities, although his interest in songwriting certainly persisted. He also parted ways with second wife Irene Mawela around much the same time. Mawela, for many years a faceless voice of the studio, decided to return to her roots and record Venda-language music, in spite of market pressures that material in this language would not sell as highly as Zulu and Sotho-language songs. Traditional producer Lucky Monama put her under his wing and Mawela recorded some brilliant material for two or so years until motherhood forced her into an abrupt but graceful abdication. Her much-remembered recordings of this era include her Venda-language LP Khanani Yanga (1982), as well as three EPs of Sotho, Zulu, Xhosa and Venda material. Mawela made a surprise return to the industry in late 2007 with the gospel album Tlhokomela Sera, recorded once again for Gallo. After his retirement from the music industry, Bopape settled permanently in his home village of Mogapeng outside Tzaneen, with an extended family of children and grandchildren. 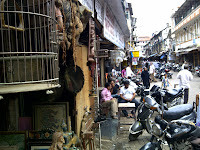 He became something of a prominent businessman in the area, establishing a number of successful businesses. During the 1990s, Bopape’s health failed further as he entered his old age. He had a long-standing diabetic condition (which contributed to the loss of his eyesight later in the decade) and also developed cardiac problems and hypertension. In spite of these health troubles, Bopape's fondness for music and songwriting never left him. In early 2012, he wrote five new Sotho songs for his ex-wife Irene Mawela, all of which she set melodies to, recorded and included in a brand new studio album titled Africa 5 (2012). In a lovely throwback to the heyday of Mavuthela, the elderly Bopape provided poetically spoken words on two of the album's tracks. Aside from little forays into his old life like this, Bopape lived in solitude until his death in June 2012. Regardless of his personality or nature, Rupert Bopape’s stature within South Africa’s music industry cannot be underlined enough. Even so, the songwriting section of his career is at times confusing. He simply could not have written those instrumental songs that give him a sole composing credit. This points to an individual who seems to have wanted to build up a library of songs that portrayed him as a multi-talented star. This wasn’t the case. But it is important to note that those songs listing him as a co-composer indicate some effort being put in by the producer - he certainly wrote lyrics for songs, which were then arranged into a melody by a team of his musicians. Bopape also had an often-forgotten talent for storytelling, and his beautifully poetic style of chanting was a distinctive feature on hundreds of successful songs. He was a smart individual who, ostensibly, seemed to be very talented at getting the right singers and instrumentalists together. The fact that Mavuthela spent much longer on its mbaqanga productions – producing slightly less material than those of its rivals – but still managed to dominate the black market is a testament to that strongly creative team of people assembled by Bopape. He had a true talent for forming the best possible teams of music makers in the studio, and this perhaps killed two birds with one stone – these teams were able to work together to make remarkably creative music that shifted copies in numerous quantities. In many respects, he was a genius. He managed to cultivate a distinctive image for mbaqanga music. Put simply, Bopape rose to a level within the local music industry that made it possible for him to build up what can be considered the South African answer to Motown: the first of the new Gallo-Mavuthela imprints, Motella, sounds uncannily similar to Berry Gordy’s black US soul powerhouse; the Mahotella Queens were often styled on album covers and in live concert appearances in the manner of Motown’s girl groups like The Supremes; and the Makgona Tsohle Band were indeed The Funk Brothers in an apartheid-era recording studio context. 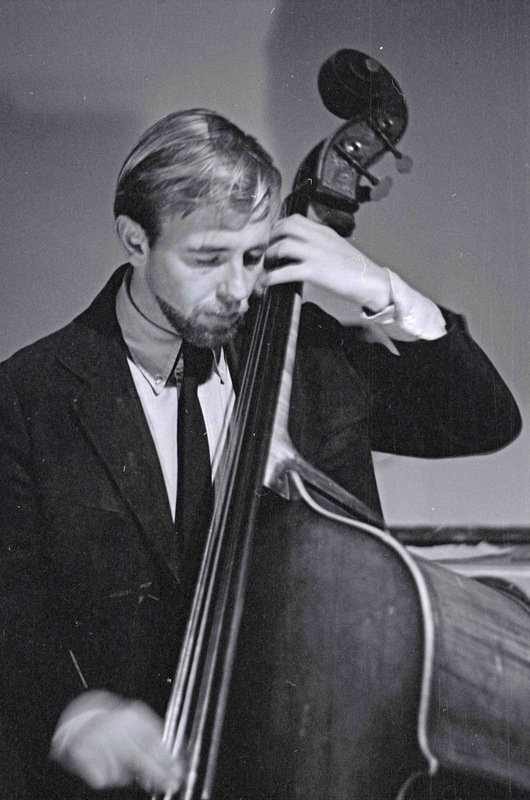 Without Bopape’s firm and distinctive guidance, much of the music of the past and the present would have not developed in the way it did – it might not have even existed. It was Bopape who carefully co-ordinated the new mbaqanga of the 1960s with surprising simplicity. 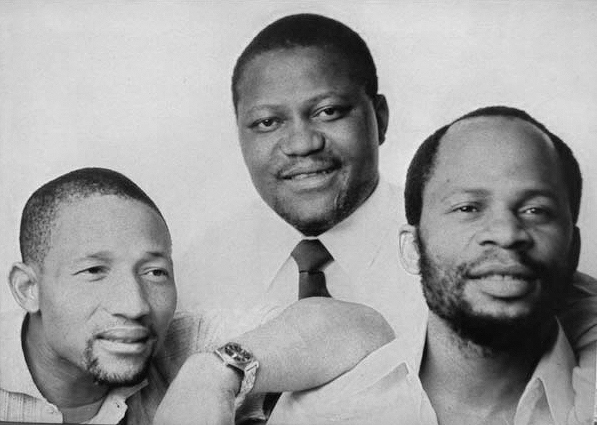 The combination of players in the Makgona Tsohle Band – that innovative trio of Makwela, Mankwane and Ngubane – set a very underrated and unappreciated milestone in the history of black popular music. The basic template set down by these guitarists survives in various forms to this day, and is often evoked in other styles, particularly hip-hop, with modern stars sampling material by the older generation. It would, of course, be somewhat outlandish (and untrue) to suggest that Bopape “invented” mbaqanga. 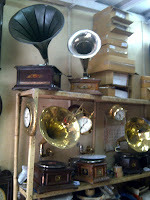 But for many, he was the one producer who was influential in refining the sound and creating a bespoke persona for it. In conjunction with this Spotlight post, Electric Jive presents a compilation of 30 songs from Rupert Bopape’s career at Gallo. These include songs he produced, composed or contributed to in some form or another. By and large, this equates to something of a “Best Of” collection for the Mavuthela stable. A variety of styles are included here, from the somewhat unorthodox soul and pop right down to the staple jive sound that the company excelled at. OK, so what is it about this vinyl bug that when we get one day spare in a new city, those afflicted amongst us also get to see it through the lens of finding vinyl? 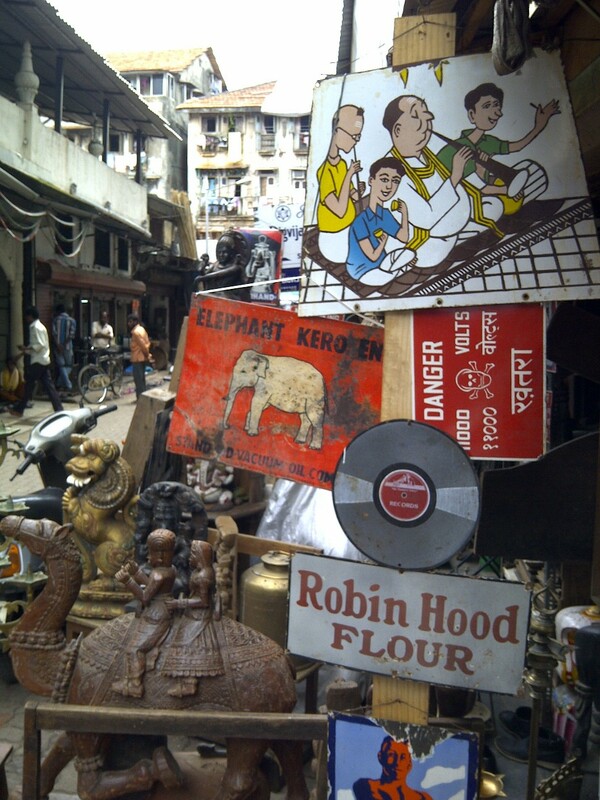 I could not resist sharing these pictures of my visit to the 'thieves market' in Mumbai today. 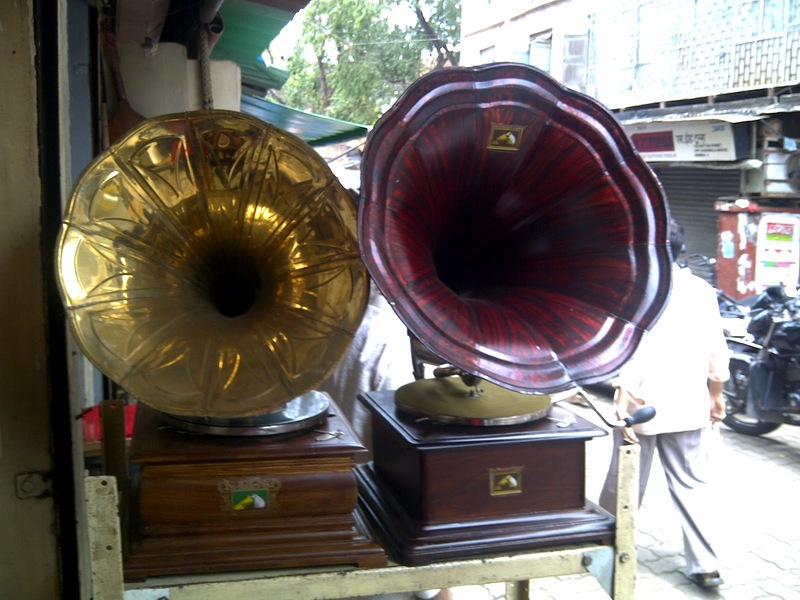 Lots of vinyl, if you are looking for Bollywood, and for old 78rpms. But I was just happy to look and enjoy the 'movie'. Thanks Paul Buttery for pointing me to the Chor Bazaar - a multi-sensory feast. 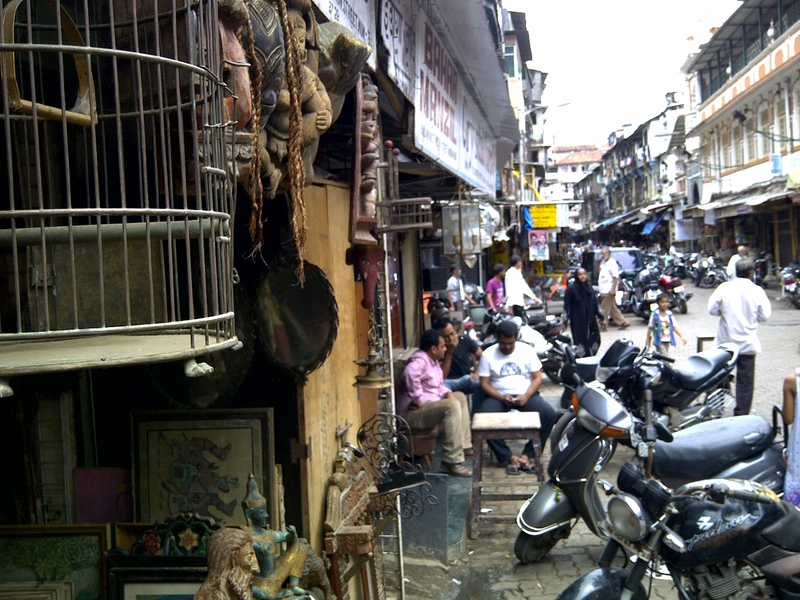 Each alleyway has its main thematic focus, with rooms and stalls packed to the rafters with just about anything second-hand you could be looking for. 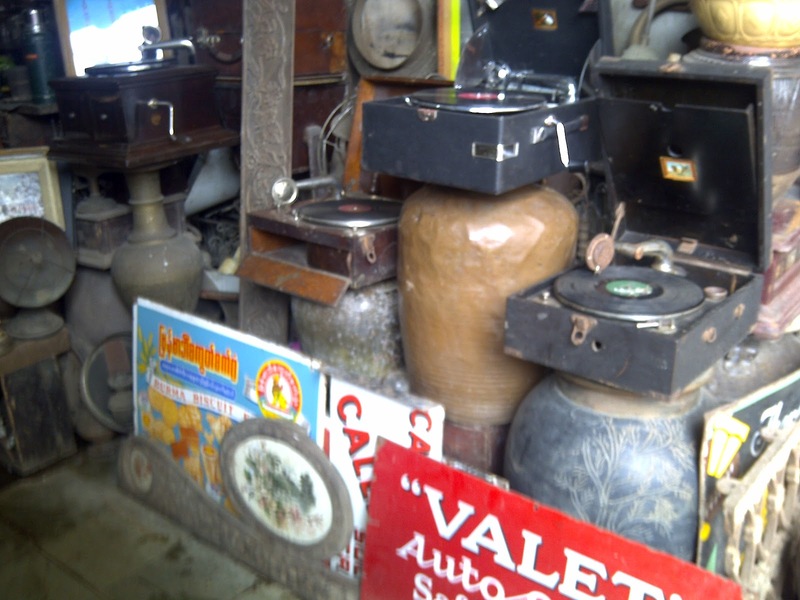 Lots of antiques restoration going on. The gramophone wallah's can be found on Mutton Street, one street down from the car parts, batteries and metalwork. Normal Electric Jive service will resume shortly.